Jockey Bryony Frost made Cheltenham Festival history as she became the first woman to ride a top-level Grade One winner over jumps at the meeting when Frodon landed an emotional triumph in the Ryanair Chase. Frost, 23, the daughter of Grand National-winning jockey Jimmy, punched the air with delight after victory on the 9-2 chance, trained by Paul Nicholls. “He’s Pegasus,” said a tearful Frost after her bold-jumping mount finished ahead of Aso and Road To Respect. As the jockey and her mount returned to a rapturous reception in the winner’s enclosure, 10-time champion trainer Nicholls said it was “one of the best days ever”. Aso (33-1) kept on for second, with Road To Respect (9-2) third. Frost and Frodon have built up a perfect partnership over the last two seasons and they were smoothly into their rhythm at the front from the start of the race over two miles and five furlongs. Frost, who was landing her second Grade One win after victory in the 2017 Kauto Star Novices’ Chase at Kempton on Black Corton, said: “He’s had his day. He’s the most incredible battler! Frost is one of a new generation of female jockeys who are marking their mark in a sport where women often compete against men on equal terms. 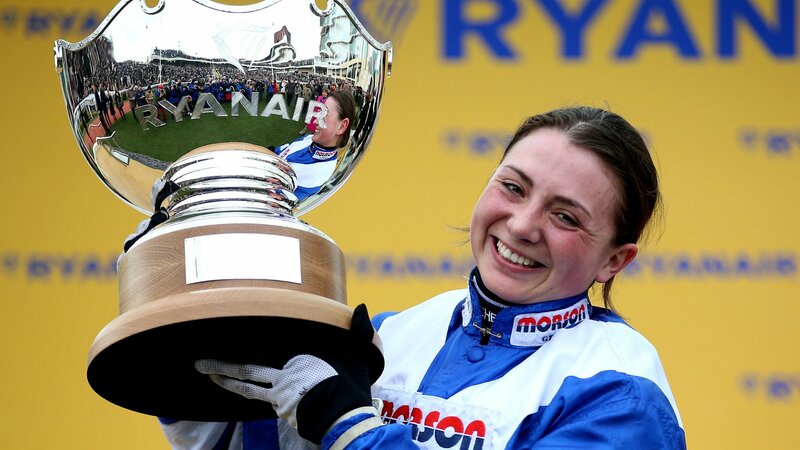 On Tuesday, Rachael Blackmore – who is bidding to become the first female champion jockey in Ireland in a title race which ends in April – rode her first Festival winner. Katie Walsh won a Grade One race at the fixture last year when Relegate came home first in the Champion Bumper, which is a flat race under National Hunt rules. It was Frost’s second victory at the showpiece meeting after winning the Foxhunter Chase on Pacha Du Polder in 2017. She has bounced back after suffering serious injuries in a fall last year which ruled her out for three months. In a column for BBC Sport, she described her partnership with Frodon, a Cheltenham specialist who has won five times at the Gloucestershire track. “He’s numb in his braveness. He’s more competitive and braver than I am. He wants it. He knows his races and courses so well,” said Frost. “If he was a kid who went to school, he would definitely come out with A stars. “When he was younger, he was quite bullish and a know-it-all. This year, we have really clicked, we have just found this wave we are riding on together.